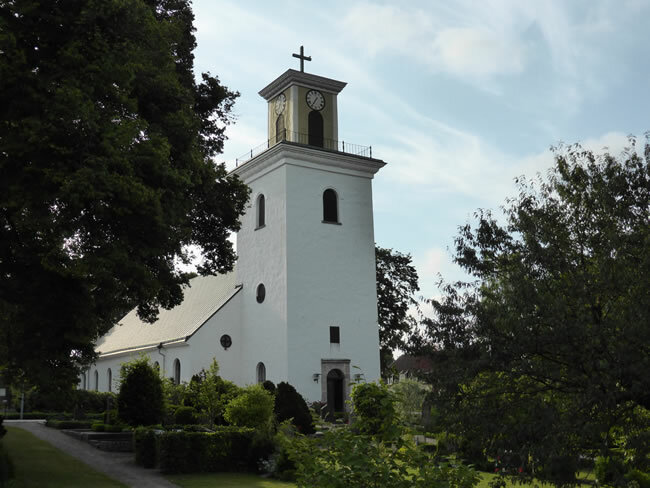 This is Mörrum-Elleholms parish church and gardens. We decided to take a look. We read the story about the 300 year old, 2m high, wooden crucifix they had here that was stolen in 2007. The thieves destroyed a lot of it but the pieces were found between here and the Mörrum river and it was reassembled.